It was 4:30 in the morning and the fire was down to small embers, crackling in the night. I was surrounded by the bizarre mix of beautiful birds singing and sheep baah-ing, mixed in with the repetition of snoring. The strangest part was the beauty that came from this sound. A sound that reflected the beautiful picture of community that was being built in that camp. As Soulfire, we took 13 of our lads away. and marched them six and a half miles to a campsite. Along the way, we paused for thought and were challenged about our reliance on tech, our obsession with being inside and lack of engagement with our world. The best part about this is that some of this teaching came from them! They left all of their phones at home and enjoyed the journey. So they walked, they prayed for each other and they looked up, finding God in their community together and finding God in the nature all around. As part of it all, they ran around, laughed, occasionally yelled at each other and then beautifully came and all laid down together to sleep by the fire, under the starts, outside the tent. There’s a beautiful story in the Bible, in Genesis, where God comes to Abraham and says “come out from under the tent, come outside!” And it’s then that he shows Abraham the stars and reveals that he will be the father of millions; but to hear that promise Abraham had to come out from the tent. That night, like Abraham, God led us out of the tent and we found Him in the outdoors together. There is something about being outside – about nature – about being in God’s creation that reminds us of who God is, of the wonder of his nature and frequently it’s when we are outside, away from it all, that God reveals himself to us. In our lives we must give ourselves time to be outside, to engage with the God who isn’t just the buzz feeling in a guitar shredding worship service, but is the God who brings peace and rest when we sit in the outdoors and breathe Him in. When did you last go outside, and just rest, listen and pause? Many of us had the joy of community this weekend at our Summer Celebration, away from everything. Let’s not forget, in this beautiful weather, to take more of that time, as we enter the season of holidays, of kids at home…take some moments, maybe God is saying to you “it’s time to come out the tent. “Neh, neh, neh, neh, neh! Neh, neh, neh, neh, neh! I would like to start with an apology to all of the Parents whose children have been singing this on repeat since Friday. I know I have, much to the annoyance of my housemates and friends! In the Easter holidays we transformed the Family Centre into a TV Broadcasting set, as part of our playscheme for 5-11 year olds from the 3rd-6th April. The children were able to be part of the live studio of the Heatwave channel, broadcasting many news worthy items from current affairs as well as hearing live testimonies of men and women who encountered Jesus many centuries back, people like Martha (Mary’s sister), Zacchaeus, the Paralysed man (whose friends made a hole through the roof) etc… meeting the people whose lives were transformed by Jesus and asking them pertinent questions about their encounter with Jesus. We also had crazy weather reports (where the presenter of choice might get a little teeny bit wet) and Dan even showed us in a cooking segment the best way to crack an egg…on your forehead! 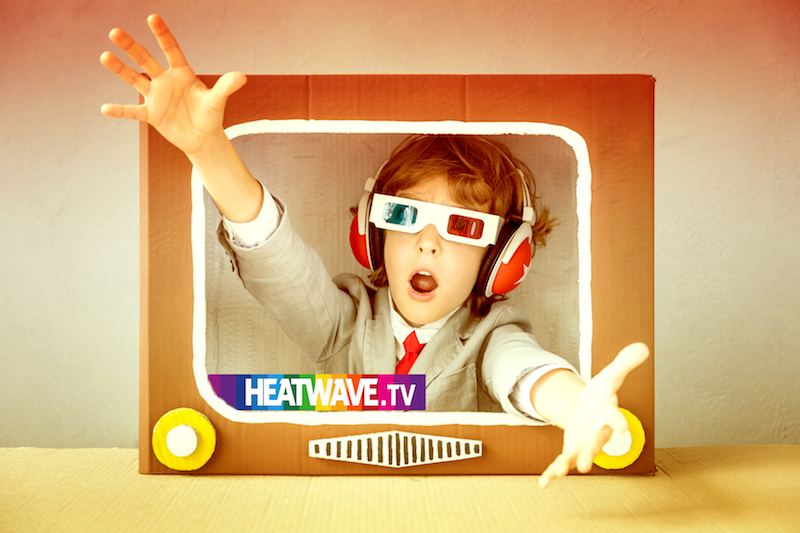 Heatwave is a week of fun and games, but is also a really good time to connect with the kids and teach them more about Jesus and his heart for them. Most of the 40 kids that came aren’t from Revs, and are just from the local community – quite a few of them have been coming for years, and have older brothers or sisters who came before them. Even for our kids who already know God, it’s been great to spend our holidays singing, dancing and worshipping Him with friends. One of the best things about doing church with all of you is worshipping God and learning more about who he is alongside friends, and kids need that too. This means that something like Heatwave is a chance for them to explore faith with others, and not just family. It has also been really cool to be part of something that has been built over time and has links to kids that aren’t involved in our other programmes and events. Dan and I would love to make Heatwave even bigger and better next year. We can’t wait to invite you onto team next Easter to be part of it! Our community has been “leaning in” over these last few weeks through a series of meetings entitled “Living the Woven Cord”. It has been leaning in to understand more about the presence of the Trinity in our lives, leaning in to hear stories about how people have found God in the midst of great suffering, leaning in to creative expressions of worship that uplift and inspire our hearts, and leaning in to the legacy we walk in as God’s children, who weave Kingdom threads across our community and world, leading others into meeting with our risen King. “God is Trinity and the beautiful, relational unity and love expressed within the divine three in oneness show us the way in life”. We heard how God in Christ has gone before us into the darkness and suffering, defeating death and paving a way for us all into eternity. 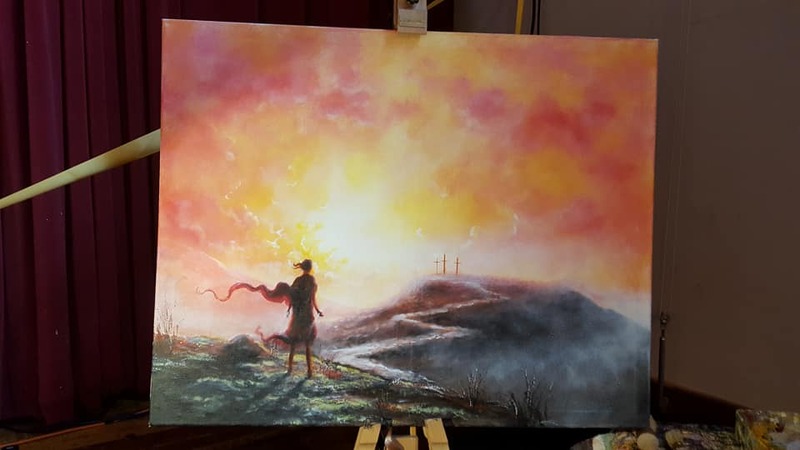 This set the scene for the moving stories we would hear in the second week, and Emma Derbyshire’s inspiring look at the Easter journey on the third meeting. If you haven’t heard Roger’s or Emma’s talks yet, we would really encourage you to do so. Here’s Roger’s and here’s Emma’s. 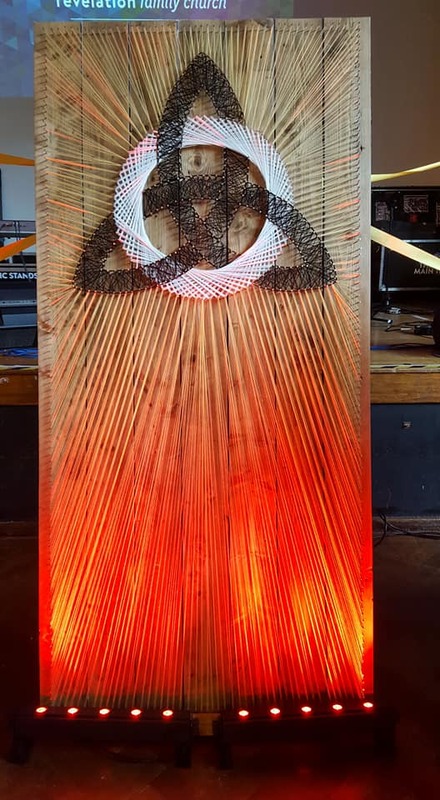 Created by Tom and Kat Fisher (with flower decorations by Karen Baldry) this work is based on the ancient Celtic symbol of faith. 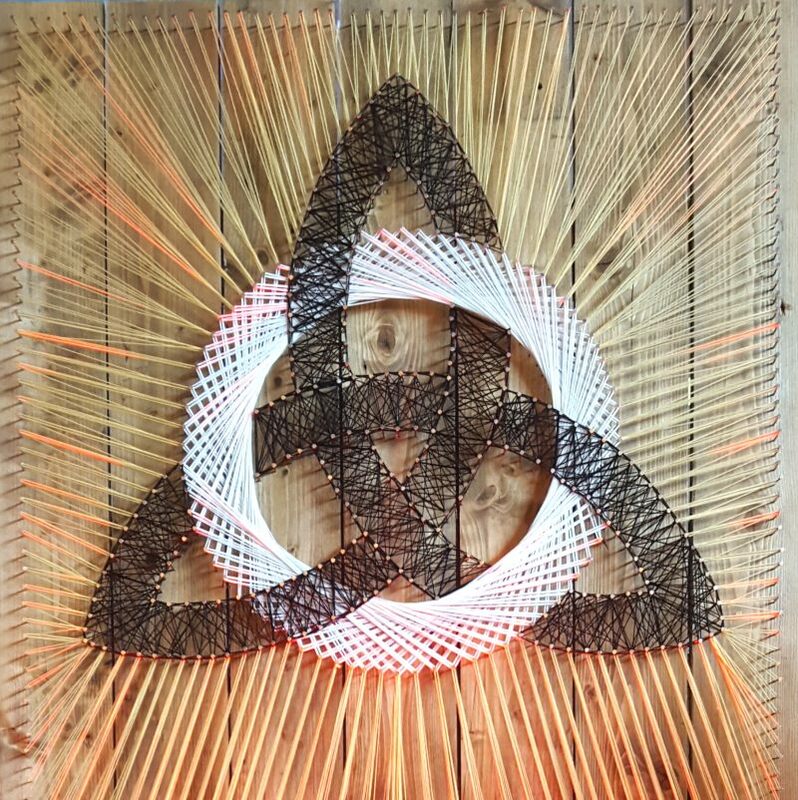 The triangular shape is symbolic of the three-in-one nature of the Trinity, the circle that of God’s eternal and all-encompassing character. 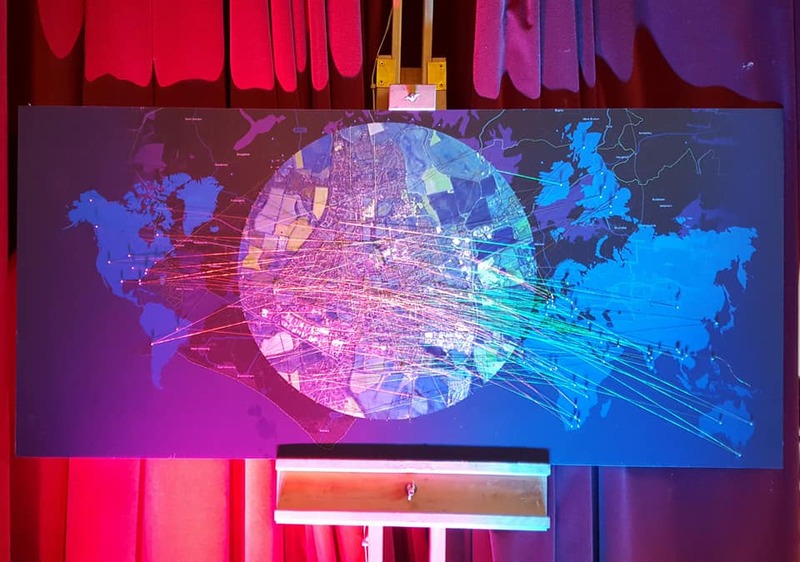 Created by Pete Hamilton and Julie Haydock, this symbolises the work of the Kingdom of God, like golden threads that interconnect our homes, neighbourhoods, schools, workplaces, and the links of our church across the UK and wider world. In the middle of the work is the centre of Chichester. The surrounding villages and towns are superimposed behind the UK and world. 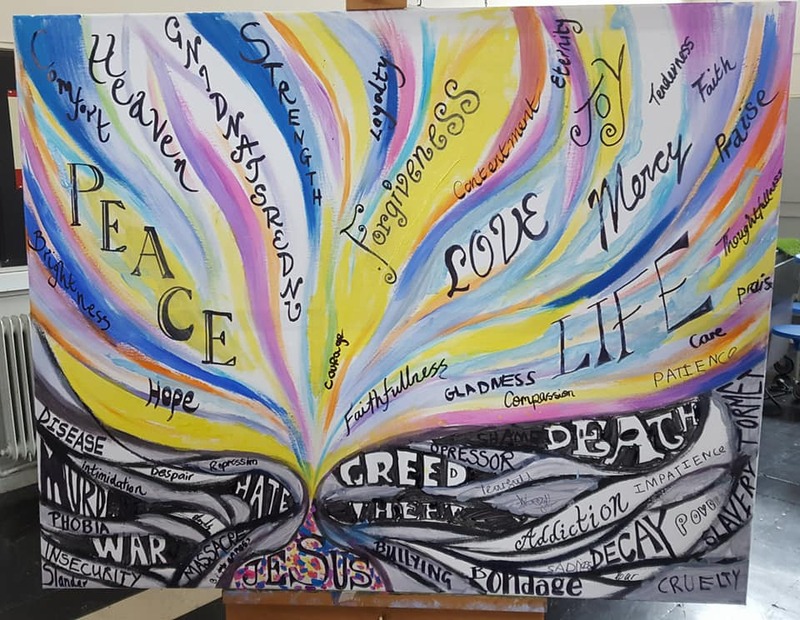 We’ve written some more about what inspired Julie to write this prayer poem here at our blog on Prayerscapes. 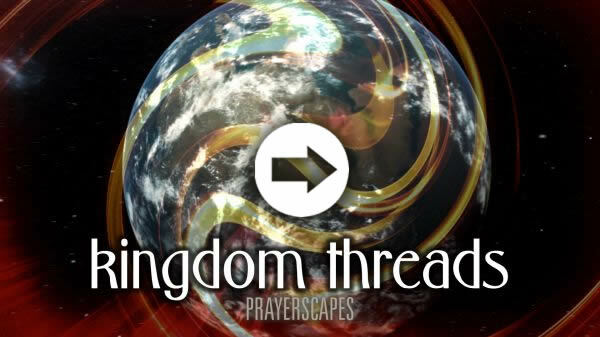 On behalf of the church we would like to thank all those who have contributed to “Living the Woven Cord” series. Many people have been impacted and deeply touched by the testimonies and beauty they have heard and seen. Since January Soulfire (our 11-18s Youth Group) has embarked on a journey of “NT60” – reading the New Testament in 60 days. For the youth, the aim has been to touch base with every book of the New Testament at least once, with four readings a week. To help them on their journey, we’ve been reading the New Testament together on Sunday, providing videos in the week and reading together on some of our Friday sessions. As one of the Youth Workers for the church, it has been a joy to watch our youth delve into the word of God. For many of them, this isn’t an easy feat, but when they find gold, you can see they are overwhelmed by the revelation they find. This is the second year that we have done this as there were concerns about whether Soulfire would buy in for a second year or be able to stick with it. I have found myself repenting of these thoughts as it seems the opposite is true – the youth who took part last year, rather than being disinterested, are delving deeper than before. One showed me their notebook, which is full of notes and thoughts of the wonders they are reading. And that is what the scriptures should be to us. A wonder. How often do we read the word as a dry text, rushing through it for our “daily bread” with no enjoyment? I’m sure we’ve all tried to push ourselves in a legalistic way to read the Bible – yet watching the youth engage I am reminded that the word is alive, it just needs to be given time to be enjoyed and be fruitful in to our hearts. Think of it like this. We’ve all heard the food analogy before – that this is healthy food for us. Yet, I think we can think of healthy food as dull when compared to the sugary treat. Or we can shove our food down our throat and treat it as fuel, however this isn’t enjoyable. 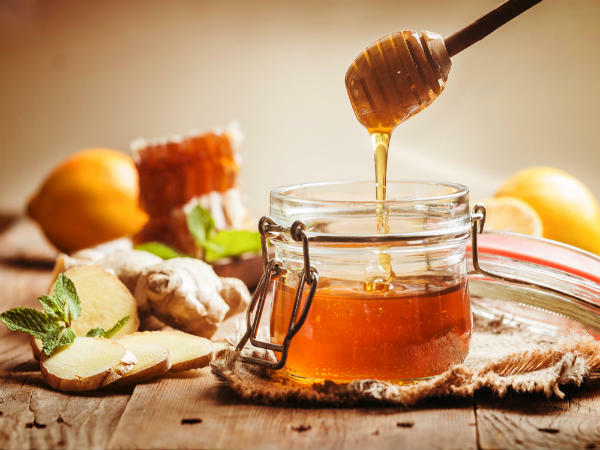 The word should be like honey on our lips! Good, healthy, food isn’t dull, but is full of flavour and to truly be enjoyed it must be savoured. I don’t know if you’ve seen the film Ratatouie – if you haven’t you defintely should – it’s about a Rat that can cook, and cook food that completely blows people’s minds. Whenever people take a mouthful of his food, the film zooms in to show the characters having a life changing revelation of taste – reminding them of precious childhood memory or life experience. They are literally changed by this experience!! Today, my challenge to us as a church is, are we savouring the word? Do we “taste it” and find life changing moments, remembering precious previous times while knowing that God is still living and active today, tomorrow, forever? What are you tasting today from this life giving book? This Autumn, our church is looking at what we believe, and using the Nicene Creed as a basis for exploring this (this creed is an ancient declaration of the Christian faith dating back to AD325 and the early church communities). Last month, Dan Slatter asked us if we might create a short film recording of the creed. You may have already seen this film at church and recognise some of the voices on it! We decided to record many different voices because we wanted to build a diverse picture of what it means to be part of church family – the young and old together, from many backgrounds and upbringings, all united in their love and adoration of Christ. So, on this recording you will hear Scottish, Irish, English and even Afro-French accents! In the western world we value highly our individualism with “I” and “my” being some of our most frequently used words. Christ knew that it was “we” – the church – that would become a beautiful family of relationships – his bride and treasure on earth. He knew that if we continued to view the world and understand ourselves with an “I” outlook, that we would fall to confusion or comparison. 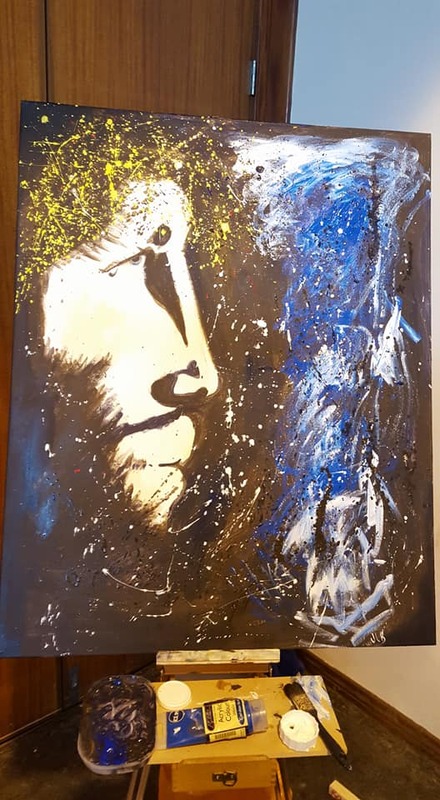 “We believe” is then a transforming creed, “we” are whole within the body, we are valued within the body and “we” are sheltered within the body. We hope that the imagery we have woven into this film will help others who are on a journey of faith to distil, contemplate and rest in these ancient statements. We are “one” in belief, connected to our brothers and sisters of faith through many generations in Christ. “We” can play our part – not with fear, comparison or insecurity, but with confidence. “We” belong – accepted, loved, forgiven and free. “We” can rest when we are tired, question when we doubt, and be carried when we can no longer stand because we share in the love and the legacy of others who have gone before us. 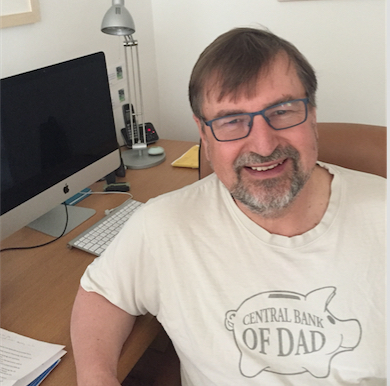 Robert is also the point of contact for Christians Against Poverty (CAP) within Revelation Family Church and recently trained as a CAP Money Coach. CAP helped more than 8,000 families in the UK with financial problems last year. Robert believes that how we manage our money is central to our walk with God, and when Jesus said “I have come to set the captives free”, this includes being free from debt and financial worries. As we head towards the final couple of weeks in the New Testament, it felt like the perfect time to reflect on this season. I don’t know about you, but for me there has been some real challenge in what I’ve read. Not only in terms of the scriptures, but practically fitting it in as well. Life is busy, as I’m sure we’re all aware and reading four chapters some days feels like more effort then perhaps we’re willing to put in. Still, it has been a great joy to engage with the scriptures. For me it has felt like someone has put me on a physical workout plan or set diet for a season – and I feel the benefits of that in my daily walk. I’ve found that parts of scriptures have come alive in a way that I’d never really felt before. The book of Acts no longer felt like a record of events, but a story where I felt Paul’s pain as he said goodbye to the leaders of the Ephesian church for the last time, knowing that prison awaited him next. Where I could read about the churches he visited and read the letters he wrote to those same churches, whether he wrote in excitement to them or in desperation. Reading through the letters, it was good to be reminded that the culture Paul was speaking to was not completely removed from our own as so often is claimed. Instead these were churches, much like our own, were working through day to day life, with ordinary people wanting to live a Godly extraordinary life, whilst dealing with fear and worry, questions around death and life, issues of how to connect with the culture and how to be a light to it. The world they lived in was filled with sexual promiscuity, drunkenness, con-men, judgment and a government that petrified many of them by the actions they took. This could easily be any English city. For me all of this reminds me again and again that this book that we hold is still as relevant today as it has ever been – it still carries a great weight and is still a model of God’s authority in our life. When I don’t know the answer to an issue, the answer is probably in the Bible. And if it isn’t, then the way to work it out has probably already been modelled in the Bible! Too often our culture wants to claim that this book is worthless, but it should be precious to us – as it holds truth in a world that wants to claim there is no truth. In closing, I don’t know whether we’ve realised how revolutionary this time has been, to be a modern church intentionally reading their Bible heavily over a set season – there are plenty of churches out there whose congregations don’t read the word – whose pastors, as I read today, have said we need to stop “valuing” it in the same way; but I would argue that the Bible is no less relevant today then it was 2,000 years ago, and when we feast on His word through the eyes of the Holy Spirit and put it into action, both practically, thoughtfully and prayerfully, we will see His Glory. “In Matthew chapters 1 and 2 I noticed that God spoke to Joseph three times in his dreams, giving him vital information, instructions or warnings. I don’t think God’s ever spoken to me in a dream (if he has I’ve missed it) but dreams are still such a common way for Jesus to make Himself known to Muslims. How does God communicate with you and what has he been saying recently? In what ways might you be able to nurture a deepening of relationship with him?